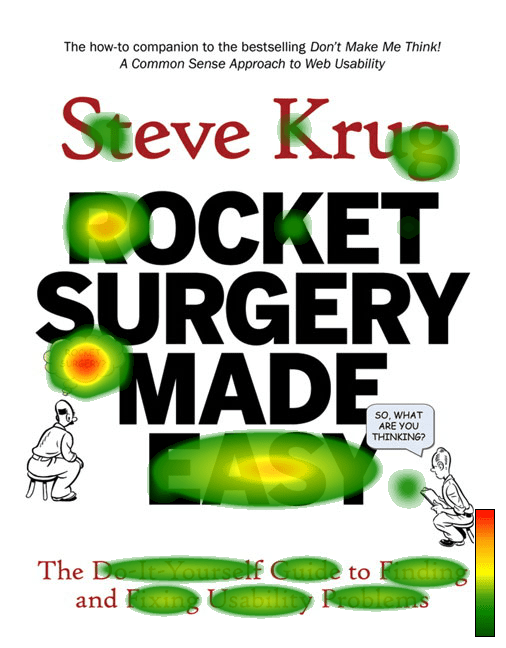 The book I’m reading: Steve Krug’s “Rocket Surgery Made Easy“. 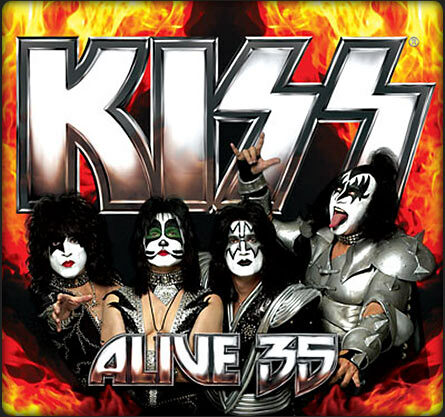 It’s a short 168 page instruction manual for performing user-tests on websites. Following the success of his first book on web usability, “Don’t make me think”, Steve taught workshops for businesses and organizations to instruct them in how to implement the ideas in the book. 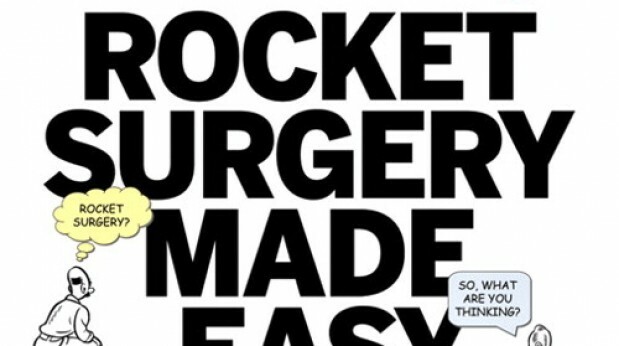 “Rocket Surgery” is that workshop in book form. I like Steve enough to call him by his first name. His style is very personable and direct. He is obviously insightful and thoughtful, and yet communicates in a concrete style that makes the topic easy to understand. He does use clichés too much and speaks with quotes and axioms often – I cut him some slack because that’s what I do. I think it’s easy to understand – where other, more pedantic manuals are not – is the personalification principle (I could be making this up b/c I can’t find a reference) . He speaks directly to the reader, as if engaged in conversation. He is writing for a clearly define audience – those wanting to use the ideas in the first book or wanting to user-test websites. He speaks with the audience, not at the audience. You become engaged with the material and you learn more. I like the book and can recommend it whole heartedly. Here are just a few takeaways that I’d like to share and promote among other web usability practitioners. 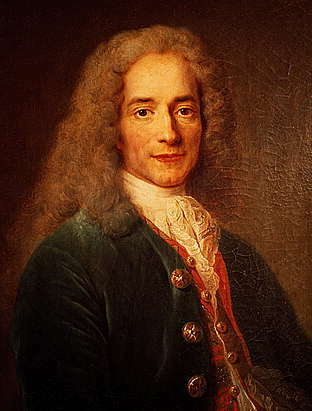 Voltaire says "Perfect is the Enemy of Good" and I believe it. It means that we should resist the temptation towards perfectionism and that we should think about gradual improvement instead of “all or nothing”. There is a Japanese term for it that is popular in management circles – “Kaizen“. This idea fits with Steve’s practical, simple style – it works and that’s good enough. Keeping it simple, I put this here for your enjoyment. Simple and practical is serviceable and useful. Simple holds up under pressure and close inspection. Everything about the book and its procedures is to reduce the complexity in order to make user-testing more likely to occur. Simple tests, simple reports, and simple improvements are essential to building a user-testing culture in an organization. Why? Because, complexity doesn’t yield better results. This is especially true when compared to not doing any testing at all. One of his axioms states “one morning a month, that’s all we ask”. He is making it clear that the investment is small and the return can be big. His ‘small, non-honkin’ report’ should be written in 30 minutes and read in 2. We (user-testing group) need resources and attention (from the organization), but it’s not going to be much. Always be testing and test as much as you can afford. Finding the ‘right’, target market users isn’t as important as you may think – problems and improvements will still be found. The more stakeholders you can get to view the tests and be involved the better – seeing is believing. Create a priority list of observed problems and follow through on fixing them. Simple fixes are better than a total redesign. Subtraction is often better than addition.